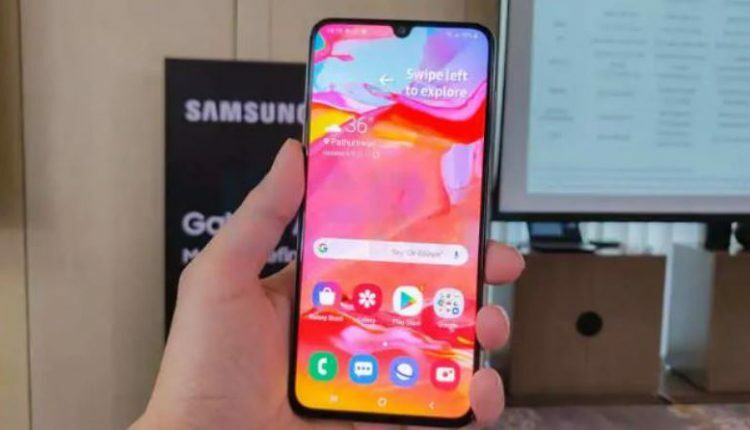 New Delhi: With an aim to challenge its Chinese competitors with several new devices, Samsung India will launch the Galaxy A70 smartphone next week, this was informed by Ranjivjit Singh, Chief Marketing Officer and Senior Vice President, Samsung India. This apart, the South Korean tech giant is also mulling over launching the Galaxy A80 in May, Singh added. While the Galaxy A70 will be priced between Rs 25,000 and Rs 30,000 bracket, the Galaxy A80 in the Rs 45,000-Rs 50,000 brackets. A 6.7-inch Infinity-U display, 4,500mAh battery, super-charging technology and a triple camera system at the rear are some of the many features of Galaxy A70. On the other hand, the Galaxy A80, which was announced globally on April 10, has a pop-up rotating triple-camera system and a full-screen display.